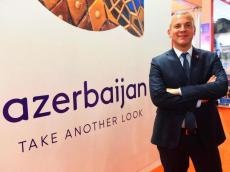 The number of Indian tourists visiting Azerbaijan has increased by 175 percent amounted to 40,000 people in 2018, Executive Director of Azerbaijan Tourism Bureau, Florian Sengstschmid said in an interview with India's influential news agency Times of India, Trend reports. Sengstschmid emphasized that Indian tourists are increasingly showing interest in Azerbaijan in recent years. He noted that India is one of the first six countries where the official representative office of the Azerbaijan Tourism Board opened. He added that the Indian market and the interests of potential tourists were considered. He stressed that one of the important factors is that it is easy to visit Azerbaijan. Thus, Indian tourists are able to get online visas within three hours. He added that although flights to Azerbaijan are mainly carried out from Gulf states at present, it is planned to implement Delhi-Baku direct flights in the future. Sengstschmid said that the people of Azerbaijan and India had common cultural and historical values and organized special tours for Indian tourists including "Ateshgah" Temple. Perhaps the most popular and exotic sight of Azerbaijan is the Temple of Ateshgah. It is located 30 km from the center of Baku, on the outskirts of the village of Surakhani and is known almost all over the world. The territory where this temple stands is known for such a unique natural phenomenon, as natural gas comes out of the ground, and when it comes into contact with oxygen, a natural fire occurs. In its present form, the temple was built in the XVII-XVIII centuries. It was built by a Hindu community living in Baku belonging to the Sikh caste. However, the history of the Ateshgah temple is much more ancient. The sanctuary of fire-worshiping Zoroastrians (approximately the beginning of our era) has been located in this territory since ancient times, who gave mystical significance to the unquenchable fire and came here to worship the shrine. Atashgah is included in the UNESCO’s preliminary World Heritage list and considered as one of the most interesting monuments due to its historical value and modern appearance. It should be noted that Azerbaijani delegation headed by Azerbaijan Tourism Bureau attended SATTE 2019 international exhibition in New Delhi from 16 to 18 January. Baku-Delhi direct flight, to be launched in early 2019, will contribute to further development of tourism relations between the two countries. Recently, Azerbaijan Tourism Association (AZTA) and the Travel Agents Association of India (TAAI) have signed a Memorandum of Cooperation during the international tourism fair SATTE 2018 in Delhi on February 3, 2018, that is of great importance. Both India and Azerbaijan have started online visa issuance from 2017 which greatly helped in tourists' travel. As many as 14,173 Indian tourists traveled to Azerbaijan in 2017, 6012 in 2016, 5584 in 2015, 4853 in 2014.